My sympathies are with France, the residents of Paris, and with everyone who suffered loss after yesterday’s horrible violence. On 9/11, I was a graduate student at Drew University teaching my first section of Freshman Composition there. Drew is located in Madison, New Jersey, about 30 miles due west of downtown Manhattan. Since it has a train direct into Penn Station it’s a commuter town for people who work in the financial district. Some of my students knew people who had died in the attacks, and because of our geographic proximity to NYC, we could see the smoke rising from ground zero for weeks afterwards. We had a constant visual reminder of what had happened if the news wasn’t enough. My students’ reactions were palpable and intense. Grief and rage. So I want to say that I write the following having experienced the loss and rage that understandably follow these events. I feel it too. I understood attacks on NYC and DC. 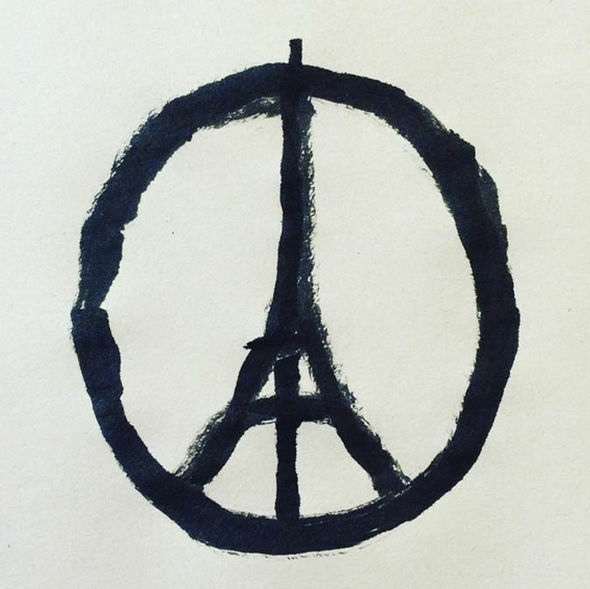 I don’t understand attacking Paris. Aristotle taught in Book II, paragraph 5 of the Rhetoric that “those who can do us wrong are terrible to us when we are liable to be wronged; for as a rule men do wrong to others whenever they have the power to do it.” According to this thinking, the mere fact that someone has the power to hurt us means that they will, or at least that we can believe that they will. Victims, Aristotle goes on to say, sometimes become victims because those who commit wrong target “those who have been wronged by many and have not prosecuted, since these are, as the saying goes,’Mysian spoil'” (Book I, ch. 12). These two points are very important. Not so much because they are unquestioned truths, but because they have shaped the way we think about retributive violence. They mean that we will tend to expect those who can hurt us to do so, and that people think that if they don’t punish people who do them wrong they will become targets for everyone. Our governments think this way, and they probably have good reason to do so. So now I’m thinking about the inevitable retributive violence that will come as a result of yesterday’s attacks. A military response is a forgone conclusion. This leads me to think about our major twentieth-century myths, even something as banal as Star Wars, that teach that sometimes the war itself is the point: it’s not that one side or the other is bad, but that the real bad guys are manipulating both sides into war, and that evil takes charge not when one side or the other wins, but when the war itself starts. Of course, there is resentment in its [Islamic terrorism’s] attitude to Judeo-Christianity and the West, but it is also a new religion. This cannot be denied. Historians of religion, and even anthropologists, have to show how and why it emerged. Indeed, some aspects of this religion contain a relationship to violence that we do not understand and that are all the more worrying for that reason. For us, it makes no sense to be ready to pay with one’s life for the pleasure of seeing the other die. We do not know whether such phenomena belong to a special psychology or not. We are thus facing complete failure; we cannot talk about it and also we cannot document the situation because terrorism is something new that exploits Islamic codes, but does not at all belong to classical Islamic theory. Today’s terrorism is new, even from an Islamic point of view. It is a modern effort to counter the most powerful and refined tool of the Western world: technology. It counters technology in a way that we do not understand, and that classical Islam may not understand either. And I’m asking myself if there’s maybe another solution. I’m not talking about bargaining with or somehow making peace with ISIS. That will never happen. I’m talking about being smart enough to not make the predictable response — to throw this cycle of retributive violence off center by doing the unexpected somehow. The problem is that the unexpected cannot be immediately conceived. But I hope we will at least think before acting, and be willing to consider less than obvious responses.